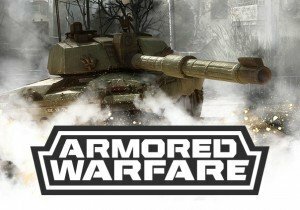 Modern tanks roll into combat on the Playstation 4 today, as My.com unveils Armored Warfare for the PS4. Their tank-action shooter is free of charge (and does not require PS+) for all Playstation 4 users to download. In it, players take control of innovative and cutting-edge technology in the modern combat setting. Players collect and own deadly military hardware, from the German-built Leopard, the heavy Russy T-72 AV, and the battle-proven American M1-Abrams. Although a subscription is not required to play, PlayStation Plus owners can download a special free bundle from the PlayStation Store to help get them started. The bundle includes a unique LAV-150 90 vehicles with a PlayStation skin, one day of Premium Time, 500K game credit and 500 gold. Additionally, they are granted a three-day rental of a range of exclusive vehicles and benefit from a 20% discount on all Starter Packs. Weekly Recap #209 Oct. 13th - DFO, Battleline, Chronicle & More!